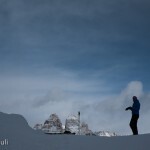 Ski touring in the Dolomites, guided day trips. 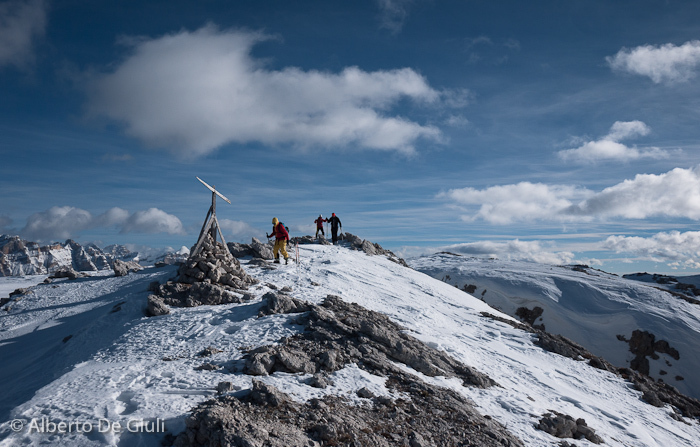 COST (VAT included): € 310 pp per day, with an increase of 10% per participant up to 4 people per group. 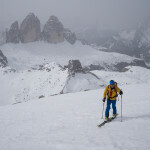 INCLUDED: guide service, avalanche transceivers. 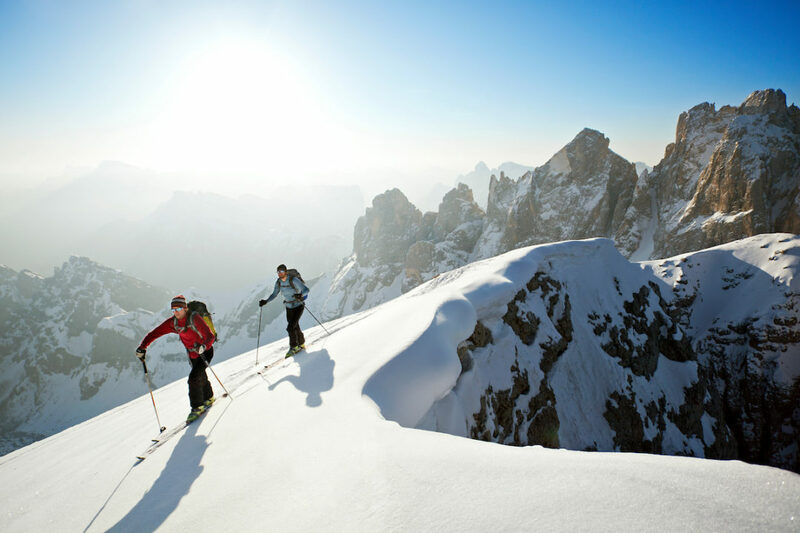 From December until the end of May I arrange private ski touring guided day trips in all the mountain ranges of the Dolomites, from the Odle to Sassolungo, the Pale di San Martino and Cadini Misurina. 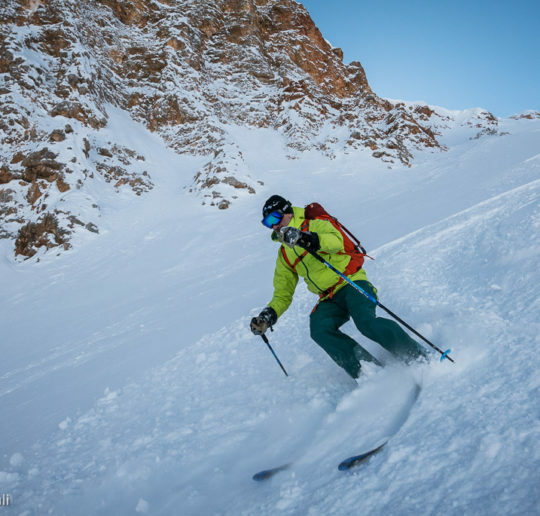 I’m happy to give you any tips to improve both your ascent and the descent techniques, to make yourself feeling more confident and independent, and ready for more challenging adventures on skis. 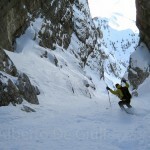 For further information, details and booking drop me an email. 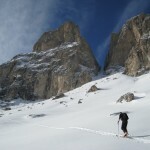 Ski Touring around Marmolada range. 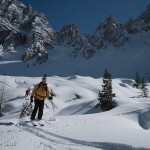 Ski touring in the Puez Natural Park. 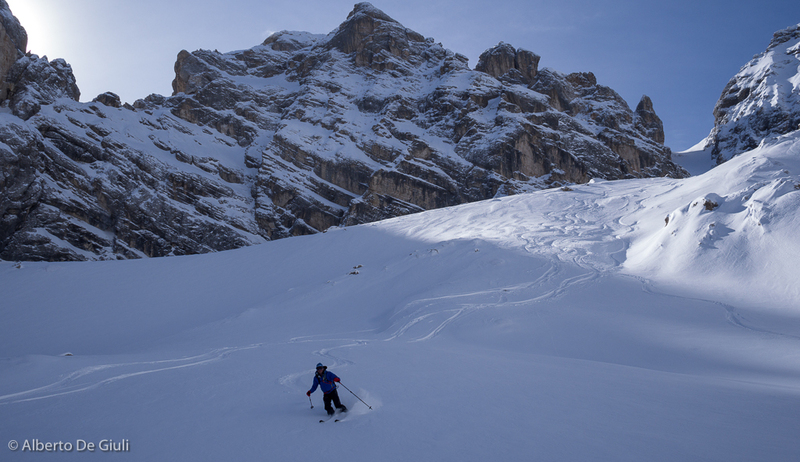 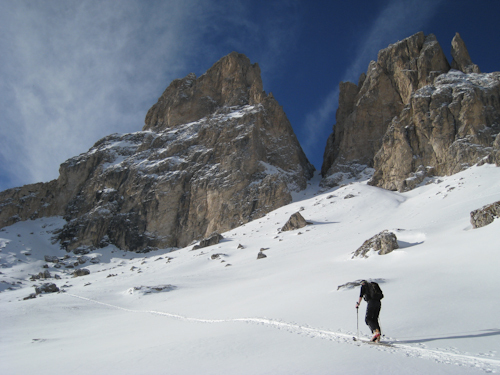 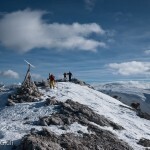 Ski touring in the Sassolungo mountain range. 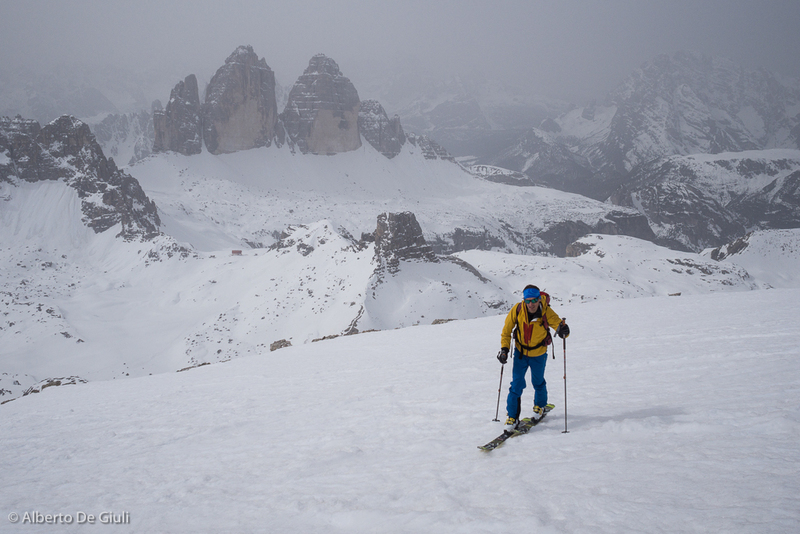 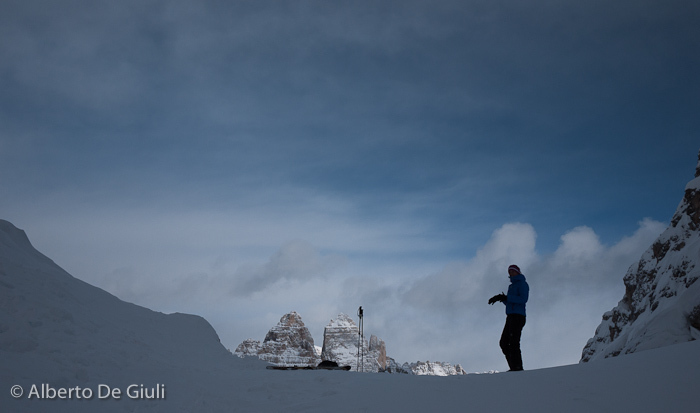 Ski touring in front of Tre Cime di Lavaredo north faces. 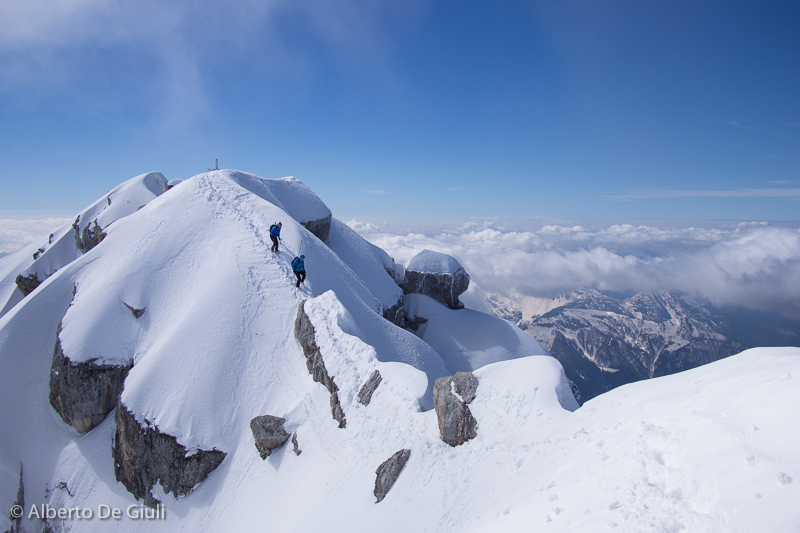 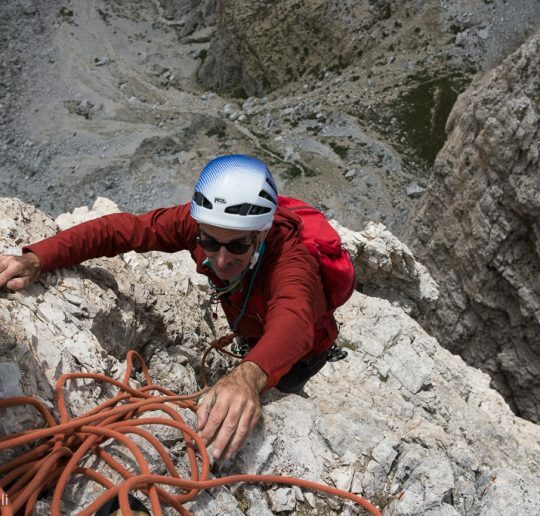 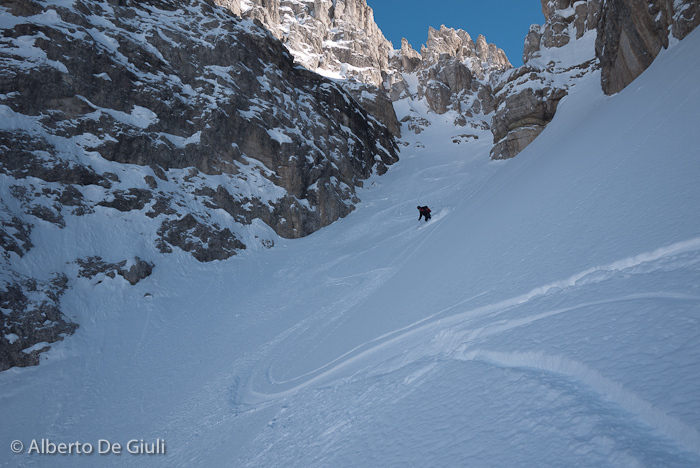 Ski mountaineerig to the top of Monte Antelao, Dolomites. 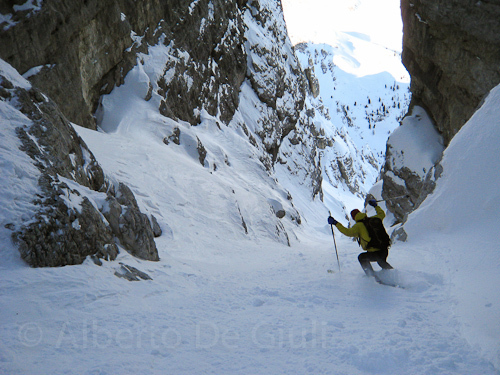 Forcella del Diavolo. 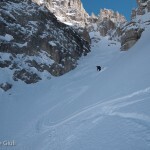 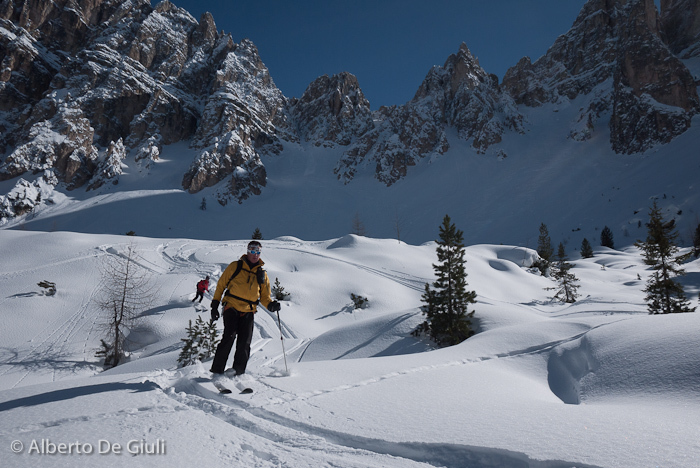 Ski touring in the Cadini di Misurina. 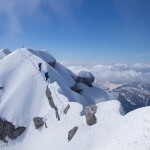 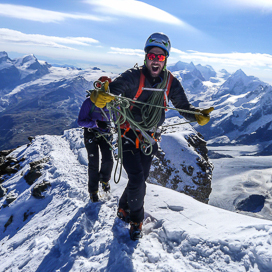 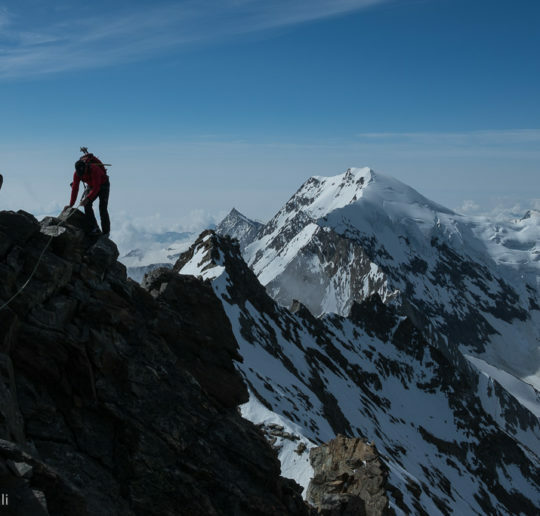 Climbing the Weissmies and Lagginhorn south ridge.